With Price from US$ 237.250 to US$ 758.000 and get 100 kph only in 3 seconds with 5.204 cc v-10 engine this car is so awesome. 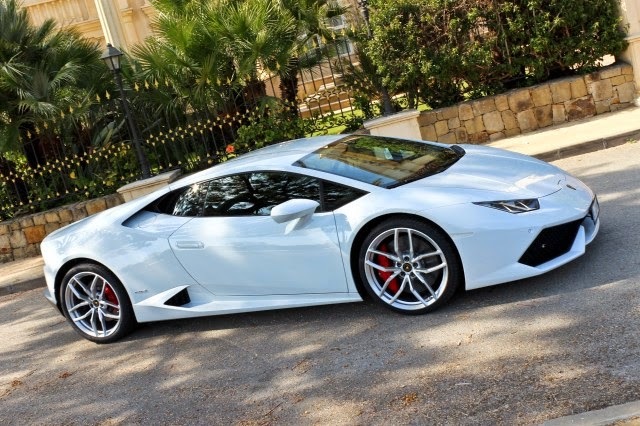 The successor of the Gallardo, Lamborghini V10-engined models, Huracan has very heavy duty. Lamborghini Gallardo was recorded as the most successful in history with sales of more than 14,000 units worldwide. It makes Lambo set a higher standard for Huracan. First look at the figure, difficult to deny that Huracan is very really beautiful supercar. You can see all of her curves so perfect both form and proportion. When the test was almost all pedestrians and other motorists turned as we passed. Although the posture of Huracan is low and flat, but she was not intimidating. In general, the length and width not greater than the Toyota Camry. Using ordinary door model - the Aventador with scissor doors, Huracan give wider access for passengers into the cabin. It is easy even for large-bodied passengers though. Huracan cabin is designed not only to prioritize aesthetics, but also quality. Arrangement of various buttons and levers neat and easy to reach. As cars are dealing with a very high speed, cockpit Huracan should be made as comfortable as possible so as not to break the concentration of the driver. Including activation of the sign lights but not through the lever via a button on the steering wheel as an audio button. Sure to be the driver is not distracted between the paddle-shift lever behind. Once the machine is turned on via the start-stop button that beautiful, thundering V10 unit which is right behind the back of the driver suddenly burst. His voice was very loud, especially when driving mode switched to Sport or Corsa. The cabins were actually counted impermeable as could not resist the blast of sound when the engine rev past 3,000 rpm. does not seem so disturbing ear, the exhaust sound is actually good to hear because of the raucous and loud. In a surprising way Huracan feels mannered temperament. Dings suspension away from the impression that torture rigid body. Quite soft even when passing on the uneven road. Unfortunately rearview visibility is very limited due to the small window. Unlike the Gallardo that uses single-clutch transmission, dual clutch Lamborghini Huracan use Dopia Frizione (LDF). Unlike Gallardo at high speed when shifting back the driver feels like a hit from behind, gearshift Huracan smoother and faster. We were more relaxed when driving it on the road deserted. 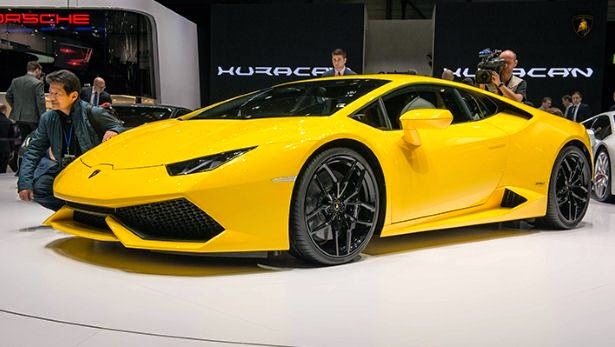 Lamborghini says Huracan able to complete the sprint from 0-100 km / h in 3.2 seconds. With more power and grip 4-wheel motion, it seems very likely that claims materialize. But that needs to be appreciated is the faith Lambo make cars more environmentally friendly. Through all its technical development, power 610 hp supercar is promised remain capable of driving with the fuel efficiency of 8 km / liter.